US President Donald Trump is set to announce his decision on whether the US stays or withdraws from the historic 2015 nuclear agreement reached by the P5+1 and Iran by May 12 after series of negotiations with other deal's brokers, namely France, Germany and Britain. Iranian President Hassan Rouhani stated that Tehran was ready for any Washington's decision on the nuclear agreement. "The next week won't bring any changes in our live. Whatever [US President Donald] Trump decides, we have plans, we will resist," Rouhani said, addressing people in the city of Sabzevar in an event broadcast by local television. "If the US exits the deal, you'll see soon it will regret it as never before in history." The statement comes as the US president is set to announce his decision on the possible US exit from the Iranian nuclear accord after talks with French President Emmanuel Macron, German Chancellor Angela Merkel last week and ahead of the upcoming negotiations with UK Foreign Secretary Boris Johnson. The EU leaders attempted to convince the US president to stay in the nuclear deal as Trump has repeatedly criticized the document as "anti-Israeli," while back in January he asked the Congress and Brussels to address "flaws" in the agreement. The United States is expected to announce whether it will extend US sanctions waivers for Iran on May 12. At the same time, Russia and China, which are also part of the agreement, have voiced support for the deal, with Director of the Russian Foreign Ministry's Department for Nonproliferation and Arms Control Vladimir Yermakov saying that if Washington withdrew from the deal, Moscow would consider ways to proceed with the agreement in pursuit of its own interests. On July 14, 2015, the European Union and the P5+1 group of countries — China, Germany, France, Russia, the United Kingdom and the United States — signed the JCPOA with Tehran. 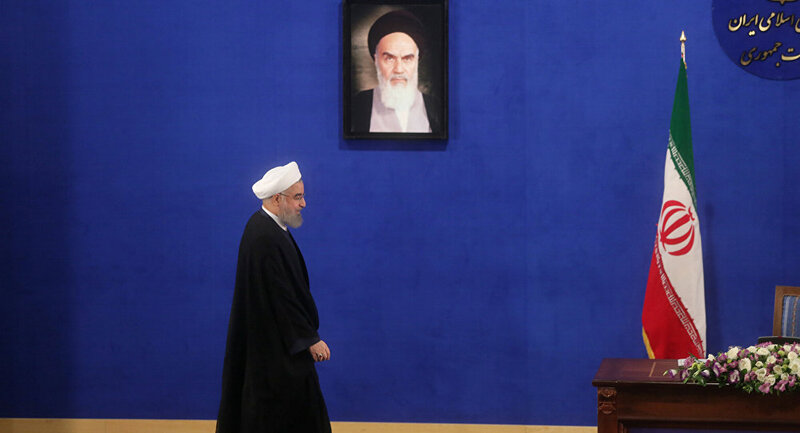 The accord stipulated a gradual lifting of anti-Iranian sanctions in exchange for Tehran curbing its nuclear program and allowing inspections to ensure that the nature of the program is peaceful.